The Brecknell EPB Series is convenient, compact and portable. 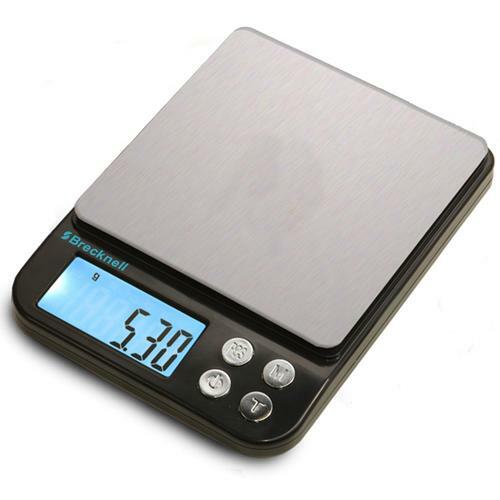 This elegant looking scale offers unparalleled weighing performance with the advantage of low cost and affordability. When looking to quickly weigh small light weight objects including jewelry and food ingredients, the EPB is the perfect fit. Offered in a stylish and tough ABS case with stainless steel weight platter and a easy to read white back lit display making it ideal for use in any low light environment. Includes a plastic protector cover for the platter and two AAA batteries. To enhance battery life, the auto-off function shuts it off after 60 seconds. Features an overload and low battery indicator as well as a push button tare and easy to use counting function. This elegant looking electronic pocket balance offers unparalleled weighing performance, with the advantage of low cost and affordability. Standard features include kilogram, gram, pound, ounce and carat weighing modes, push button tare and easy to use counting function. Offered in a stylish and tough ABS case with stainless steel weight platter and a easy to read blue back lit display making it ideal for use in any low light environment.